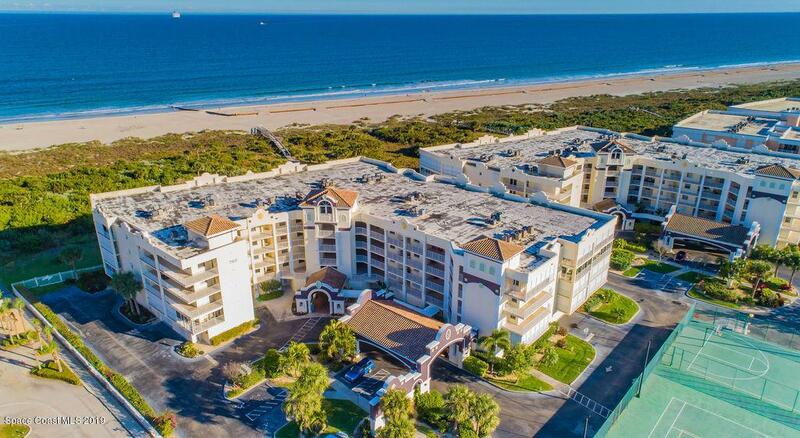 Experience Ocean Front living! 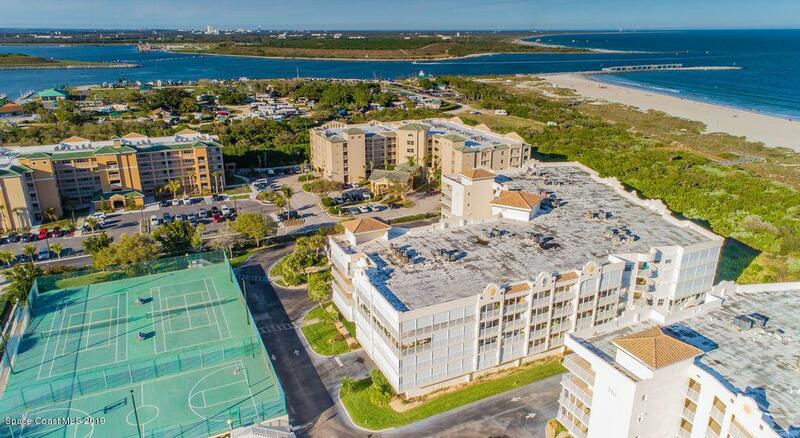 This condo is available for the first time from Original Owner who used it seasonally and family vacations. 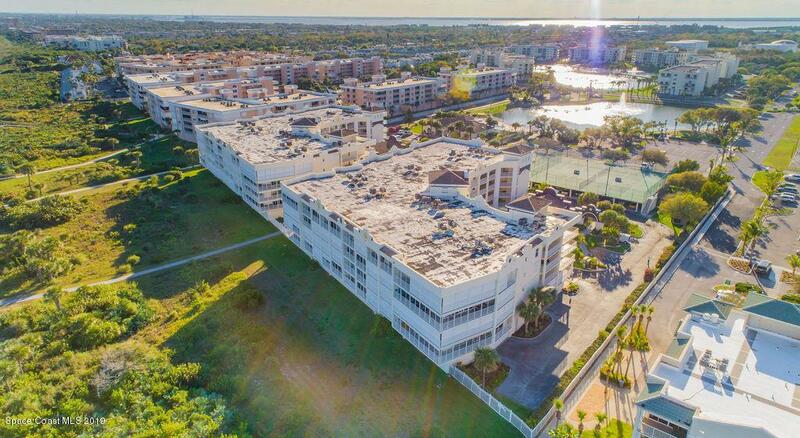 This very lightly lived -in Condo is situated in the South west corner of building on third floor, has a spacious 3 bedroom 3 bath, open floor plan featuring 10 foot tall ceilings, offers picturesque views and beams of natural light through sliders on the west and south of unit. Venture through the sliders outdoors to the wrap around balcony for sun tans during the day and entertaining loved ones at night. Enjoy gorgeous sunset views while watching the cruise ships come and go. Serene Ocean views nourish the spirit as you recharge. Equipped with electric storm shutters for peace of mind while away.A One-car private garage underneath this magnificent building stores your Florida ride. 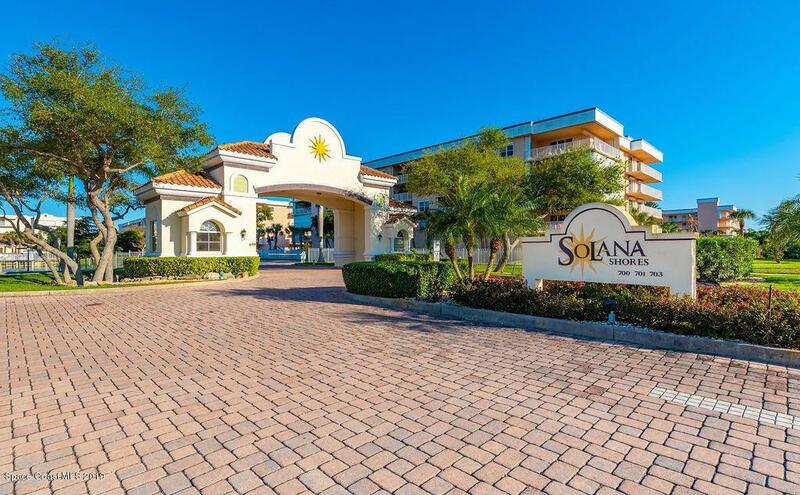 Solana Shores is a private gated Community that offers a wonderful clubhouse with gym, sauna, and tennis courts. Club house has resort style Pool & Spa with cabanas and a community patio with a Lakeview. Port Canaveral is nearby, take a cruise, or hire a charter boat for fishing. Visit The Ports "Cove" area for the best casual dining, and take in live entertainment virtually next door. Cape Canaveral is home to an Air Force station and Kennedy Space Center which support the Space Program, just a short drive from Orlando International Airport and the attractions like Disney and Universal Studios.